I used to hate fish. Seafood of any kind really...unless it was shrimp dipped in batter and deep fried. Then I discovered the wonders of shrimp scampi. Yum, who can resist anything covered in garlic butter? As I've gotten old, my seafood horizons have expanded exponentially. I've even developed a taste for sushi (no octopus though!! The rubbery texture is just wrong!). 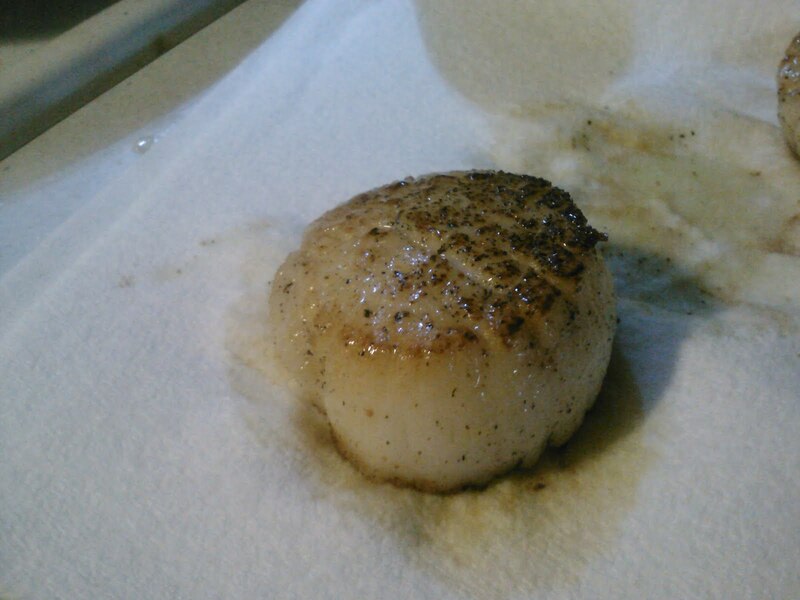 My husband's favorite: scallops. Now I don't know if you've seen the prices of scallops on most menus but they are pretty pricey. So this weekend I decided to attempt to make some. My husband said they were the best he'd ever had so I guess they turned out okay. They were still pretty pricey ( over $6 for 4 of these suckers, but they were huge!) but WAY cheaper than the restaurant variety and I knew exactly what it was seasoned with (sea salt and fresh ground pepper). So check one more off my 30 before 30 list! So, how about you? Have you ever tried making your favorite restaurant dish? How did it turn out? These were amazing! Definitely a do over.